While it’s almost time for parents to rejoice as the school holidays start coming to an end, it also means that it’s time to hit the shops for back to school supplies. And while it’s all well and good to seek out the cheapest and best bargains for stationary supplies, the same isn’t the case when it comes to purchasing your child’s school shoes. Owner of A Step Ahead Podiatry, Brenden Brown said that you generally get what you pay for. 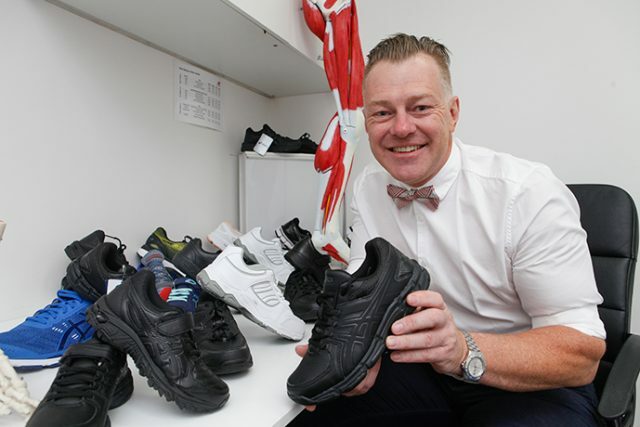 “Price really does make a difference, so when we recently reviewed 15 shoes, the vast majority of the cheap shoes just didn’t measure up,” Dr Brown said. Dr Brown said these factors are the most important points to look out for when finding the perfect shoe for kids ahead of the new school year. “Shoes should only bend at the toes and shouldn’t bend in the middle or be able to push in the cups of the shoe at the heel,” he said. Rather than point out a particular shoe, Dr Brown said that you are best to visit a store that has people on hand who specialise in fitting. “As a general rule, rather than say a shop straight off, I’d say someone who has experience fitting is always going to make a big difference for you,” he said. And while they might be an Aussie icon, Dr Brown said that the ever popular Dunlop Volleys should be avoided. “You know the thing is that school shoes just aren’t school shoes,” Dr Brown said. “The same shoe has to be good for you when playing handball in it, sometimes you have to play soccer in it, sometimes you have to stand at assembly or in a food tech class for ages. Most local schools go back next week, so parents have a few days left to ensure they find the right shoe for their kids ahead of the new year.